Most of the businesses depend on the managed service providers for their backup and disaster recovery needs. Ideally, there is a gap between the requirements of a service provider and tailor-made solutions available in the market. 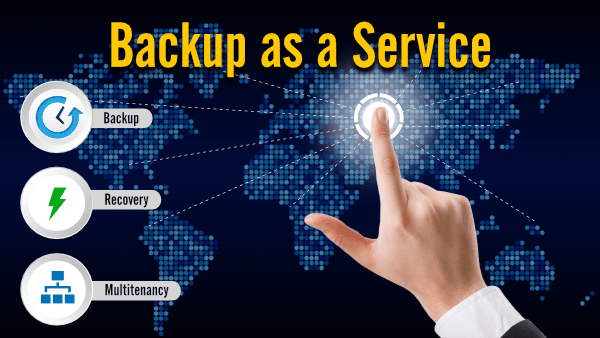 Hence Vembu has exclusively developed Backup and Disaster recovery solution for service providers to offer managed backup services to their customers. With more than a decade experience in offering backup software for service providers, Vembu is committed to provide a simple and comprehensive solution which can benefit the service providers. All-in-one Backup Solution – One stop solution for managed backup services. Vembu provides entire image level backup for VMware vSphere, Microsoft Hyper-V and Physical Windows Servers as well as Desktops. It also provides granular level backups such as File/Folder backup and Application backups. User Access Control – Web portal enables all parties to have customizable “self-service” management access for their backup deployments. End-users can access and administer their backups, run restores, and download restored files through the management portal. Multitenant Environment – Stay different from the crowd with your company’s services and enhance customer loyalty by efficiently offering a self administrative Backup and DR service to your customer base. Vembu allows you to group the backed up VMs or physical machine to a specific group for easy customer management. So, you will get a multi-tenant environment which will help you to manage a huge number of backup jobs from your customers seamlessly. Clustering & Load Balancing – BDR backup server installations can be configured into a cluster, and new backup servers can be dynamically added to handle increased loads. This ensures effective and reliable scalability, without affecting the production environment. Efficient Storage Management – You can use any kind of storage devices such as SAN, NAS and DAS for storage purpose and Vembu supports all such filesystems. Also, you can easily scale-out the storage devices based on storage utilization. Vembu Portal for Service Providers – Centralized license management portal to allocate license thus managing the license utilization. Vembu BDR enables service providers to offer automated Backup & DR services to SMBs and Enterprise customers and is designed to be flexible to your deployment needs. Vembu BDR offers various deployment options to fit every backup scenario. In case customer needs backup data to be stored at the customer premises, Vembu BDR backup server can be deployed in customer site and all the data will be backed up locally. So, the local backup data can be used to quickly recover the backed up VMs, physical machines or individual files when required. This scenario can also be used by the Cloud Service Providers and Hosting Service Providers to provide BaaS and DRaaS. You could deploy Vembu BDR Backup Server in your own data center/co-location and offer backup services to your customers with client machines directly backing up over the Internet to a remote Vembu BDR Backup Server. In this case, the customer can backup the File Servers, Microsoft Exchange, SQL, SharePoint, SystemState, Registry, Outlook, MySQL, Oracle, PostgreSQL, Linux machines and Mac directly to your data center over WAN. Start a Profitable Backup & DR Services! Use our best-of-breed software to increase your recurring profits by offering your customers, a managed backup and disaster recovery service at an affordable price. Free Endpoint Backup – Backup Windows Desktops, Laptops and Mac machines at free of cost. No hidden charges! Volume Discount – Back-end rebates available for achieving volume requirements. Not For Resale Units – NFR units are available at free of cost to service providers for demo and evaluation purpose.